Kauai Outrigger Association (KOA) is a non-profit organization devoted to preserving and perpetuating Hawaiian culture through the sport of Hawaiian Outrigger Canoe Paddling. 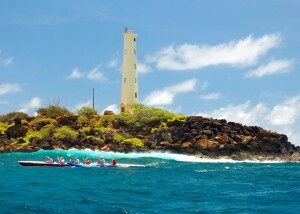 The Association’s purpose is to promote and encourage participation in Hawaiian canoe racing activities within its community as well as inter-club, inter-island and internationally. KOA consists of eleven (11) member clubs on the island of Kauai and is the proud sponsor of the Prince Kuhio Long Distance and Na Pali Challenge. Formerly known as Garden Island Canoe Racing Association (GICRA), Kauai Outrigger Association (KOA) marked its first year in 2015. We look forward towards a bright future as we continue to build upon the foundation through continued engagement of our communities and visiting crews. Kauai Outrigger Association is a registered 501(c)(3).